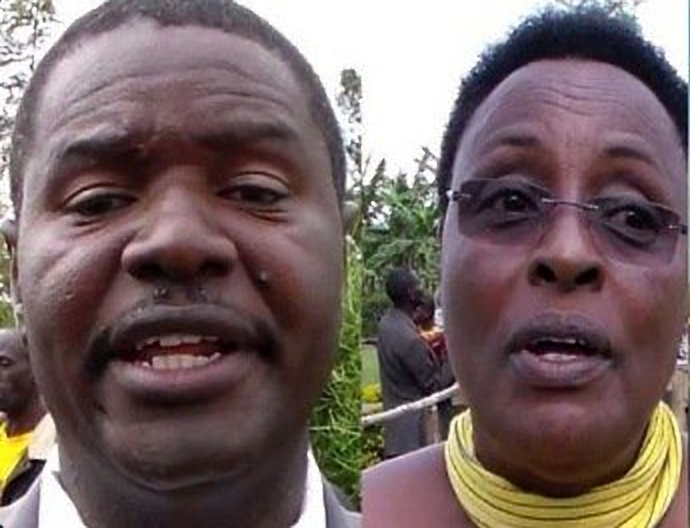 SHEEMA – In less than two months, the opposition Forum for Democratic Change (FDC) party has lost two parliamentary elections in Sheema District, western Uganda. Sheema, which was carved out of Bushenyi District, held an election for the newly created Sheema Municipality parliamentary seat in July. The race pitted Science and Technology Minister Dr Elioda Tumwesigye (NRM) against FDC’s Virginia Plan Mugyenyi. The race was closely contested, with the FDC candidate drawing massive crowds on all campaign rallies, dwarfing those of the ruling party candidate, Dr Tumwesigye. At one stage, many analysts and opinion leaders knew FDC would take the seat going by the crowds and given that the ruling party had internal divisions in the district occasioned by Dr Tumwesigye’s decision to resign the Sheema North MP seat and run in the municipality. In fact, many NRM members accused the minister of being selfish and some publically declared their support for the FDC candidate. However, when the voting came, Dr Tumwesigye trounced Ms Mugyenyi, further cementing the claim that the district is an NRM stronghold. However, Ms Mugyenyi has since gone to court, contesting the outcome of the poll and alleging electoral regularities. With Dr Tumwesigye’s victory sealed, he vacated the Sheema North seat and the Electoral Commission (EC) organised a by-election, in which FDC and NRM again faced off. NRM fronted Ms Naome Kibaaju, a retired civil servant, while FDC fronted defeating Mr Guma Nuwagaba, who had dramatically joined the opposition party, having lost in the NRM party primaries to Ms Kibaaju. Like in the municipality, the NRM candidate defeated the FDC candidate by about 4,000 votes. Ms Kibaaju polled 11,326 while Mr Nuwagaba polled 7,322. A total of 18,773 were cast, 125 were invalid while 28 were spoilt. The results were announced by the Sheema District Returning Officer, Ms Deborah Asiimwe. Whereas the opposition has cried foul, saying the election was marred by violence, intimidation of Mr Nuwagaba’s supporters and voter bribery, analysts have said that even before the poll results could be announced, the stakes were against FDC. The Opposition party lacked structures, analysis and area residents say, and most of the FDC mobilisers and campaigners came from outside the constituency and, therefore, had little interaction with the voters. In the first place, the party fronted Mr Nuwagaba, who hitherto to the campaign, was an NRM member. Probably well aware of the party weakness in the area, the FDC leadership convinced its member, Mr Felix Mugizi, who had stood on the party ticket, to stand down for Mr Nuwagaba, following his last-minute defection. NRM, on the other hand, used its existing structures to reach out 34,575 voters in the constituency. These are the youth, women, and elderly, People with Disabilities, veterans and entrepreneurs. Each of the six groups has five members so Ms Kibaaju had 30 members in each village as her primary mobilisers. The same number is at the parish level, Sub County and district. “From the village up to the district members of these structures were campaigning for Ms Kibaaju. These are very many and influential mobilisers that FDC which has no any structures in the constituency or even a leader would not match,” said Mr Benon Karabareme, an NRM mobiliser. Mr Nuwagaba, 42, had weak financial muscle compared to Ms Kibaaju. Ms Kibaaju, 64, is married to wealthy businessman Obadia Ntebekeine. She, therefore, had the money to mobilise NRM party members from villages to vote. NRM mobilised two Nyekundiire (volunteer) groups from outside Sheema were enlisted. One was tasked to mobilize people in the informal sector; boda-boda operators, those in saloons, matooke traders, taxi operators, welders and farmers. Another group was tasked to mobilize people from Sheema North living and working outside the constituency. They targeted the working class and students. “We reached out to teachers and directors of schools and intuitions, people who are born in Sheema North but work outside. 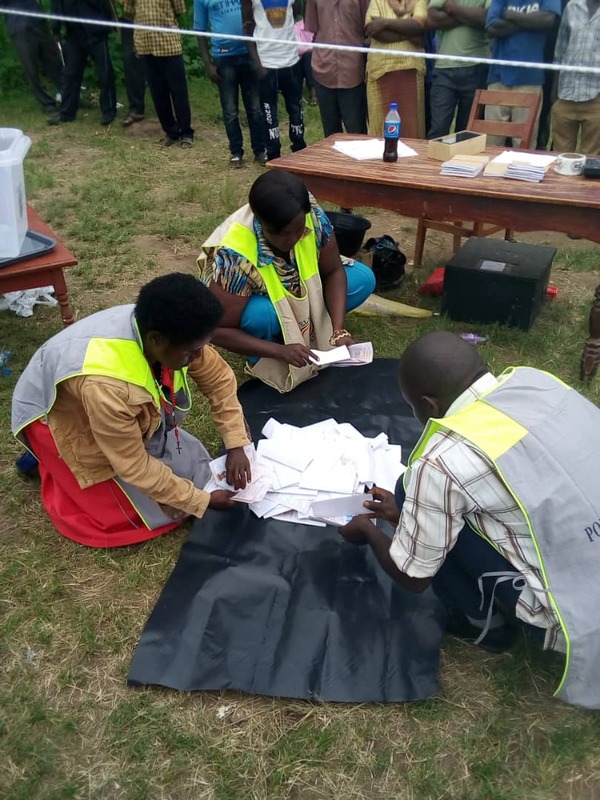 We also had a team of NRM Electoral Commission led by Dr Tanga Odoi and officials from office of the Secretary-General, they teamed with the party leaders at the district; everyone was mobilized, that is where the strengths came from,” said Mr Karabareme. However, Mr Nuwagaba said the process was not fair because voters were bought and intimidated. “Sheema is not a battleground, we have no terrorists, and we are peaceful Ugandans, there was no need for deployment of all these security equipment and personnel,” he said. The greater Bushenyi sub-region, where Sheema is located, has been a hot bed for religious-political altercations. The region has in the last five years witnessed increased rivalry and factionalism with dire consequences in the diocese of West Ankole under the Province of the Church of Uganda. In Sheema, Protestants outnumber Catholics and several leaders say the same has played out in this election. The Anglican population comprises about 75 per cent of the district population. Mr Nuwagaba is a Catholic while Ms Kibaaju is an Anglican. “The current NRM leadership, which is dominated by protestants, has deliberately fought to eliminate us (Catholics) to an extent of preventing us from having any slot at the district and other levels. We no longer run politics along political parties but religion,” says Mr Evaristo Karindiriza, a parishioner of Mushanga Catholic parish. Mr David Bashakara, the former Mbarara Municipality town clerk who is the chairperson of the peace and justice committee in the Catholic Deanery covering parishes of Mushanga, Nyabwina, Rwentunda, Kashekuro and Buhimba, notes that there has existed a major standoff between Anglicans who have the politicians backing on one hand and Catholics on the other. According to Ms Monica Kyatuheire, a resident, religion-centred leaders have ushered a challenging era in the district and the population. However, EC chairman Justice Simon Byabakama said the election was free and fair.